City of Rocks National Reserve is a unique and beautiful area with plenty to see and do. It is about 160 miles from Idaho Falls but worth the drive. Most serious rock climbers have City of Rocks National Reserve on their bucket list. In fact, of the 100,000 or so visitors annually, most are climbers, ready to challenge the vertical faces of some of the world’s most beautiful rock formations. The Reserve, located almost 42 miles south of Burley and a scant 6 miles from the Utah line on the pioneer California Trail, is less known for its wildlife, scenic and historical values or as a hiking/biking destination yet it should be on everyone’s radar for all of these. City of Rocks National Reserve is neither a national park like Yellowstone, nor a national monument such as Craters of the Moon. 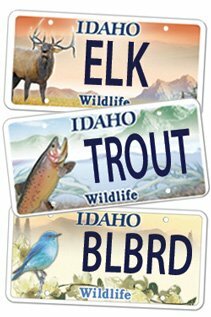 As a reserve, it is federal property, yet it is managed by the state of Idaho. In fact, it is operated in conjunction with Castle Rocks State Park, 1692 acres that complement the City of Rocks and provide a full service campground. We checked out City of Rocks/Castle Rocks for the first time three weeks ago. It was early in the season, but with an early spring we found all roads open and even a few services in the tiny adjacent town of Almo, although the restaurant and larger grocery store open later in May. We stopped at the visitor center where a young intern explained to us about the camping in the reserve. Camping there is unique among all the places we have visited. Climbers were camping in about every available location long before it was officially designated a reserve. As a reserve, the best of the dispersed camping sites were converted into hardened sites. Thus, the “campground” is a long chain of scenic sites strung along the main road in small clusters, rather than in one large community such as the state park’s Smoky Mountain Campground. We were there largely for the birding and found that late April is still a bit early. 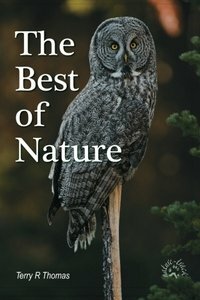 We did manage to see about 35 species, but one June day several years ago, a crack team of birders set a record of over 100 species. We bolstered our birding by watching mule deer, pronghorn, marmots, and a weasel. Since City of Rocks is at the northern end of ring-tailed cat range, I secretly hoped to catch a glimpse of this shy nocturnal relative of the raccoon but that wasn’t to be. 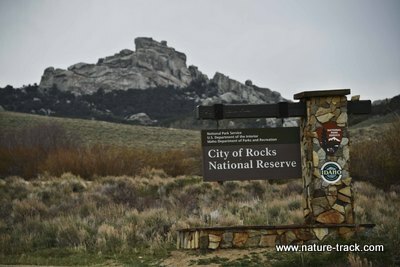 City of Rocks, even including the Castle Rocks State Park, isn’t a large area. Combined, they are less than 18,000 acres. That means short trails for hiking. You have to work to find a trail over a couple miles long. Short hikes make for a lot of pleasant and relatively easy trips where there is plenty of time to explore off trail. Off-trail discovery is a must too. The uniqueness of this area can best be savored while clambering through narrow passages, along streams or up on rocky ridgetops. Whether you go to the City of Rocks Reserve for the climbing, the wildlife, history or the scenery, it is worth the drive.